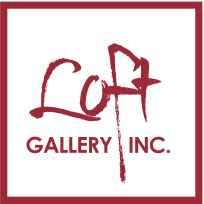 Description:Loft Gallery Inc. is located on the bustling main street of the, Georgian Bay-hemmed, hamlet of Thornbury, Town of the Blue Mountains, Ontario. This beautiful town is just 90 minutes from Toronto - and definitely worth the drive! Loft Gallery Inc. exhibits and sells original fine art by local, Ontario and Quebec artists. It is known for its spectacular large, landscape paintings. It is owned and operated by Heather Carroll. The gallery includes the studios of resident artist, Debra Lynn Carroll and Lorne McDermott and exclusively sells their paintings, along with Janet Liesemer.